On this basis, this ‘small’ lack of tension in the strap has ALREADY exceeded the allowable ‘sway’ BEFORE the strap actually starts working, and thus the plasterboard limiting the deflection would have cracked. Instead of this I design ‘K bracing’ which by inspection and it’s very nature is already taught and does not suffer with this issue. 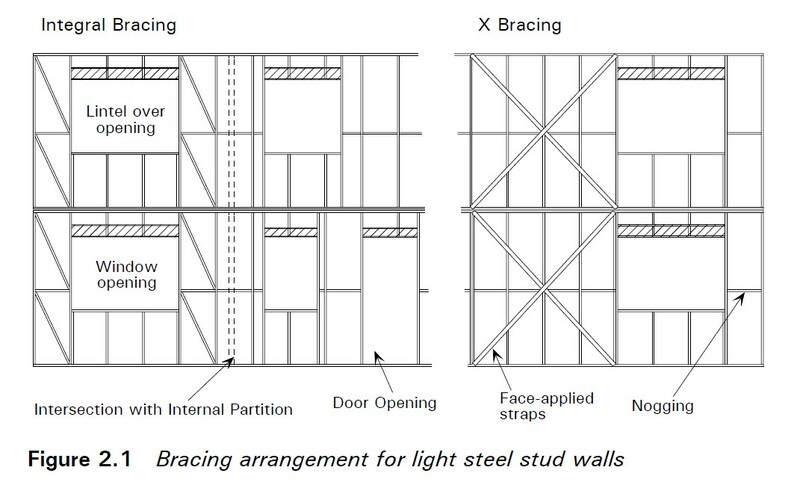 However, K bracing can be ‘fiddly’ to fit, thus slow and expensive, especially when compared to using sheathing boards as Timber Frame systems do. With the exception of ‘case a’, all show and consider failure of the stud under the sheathing board in ways that the LGS stud would not fail. 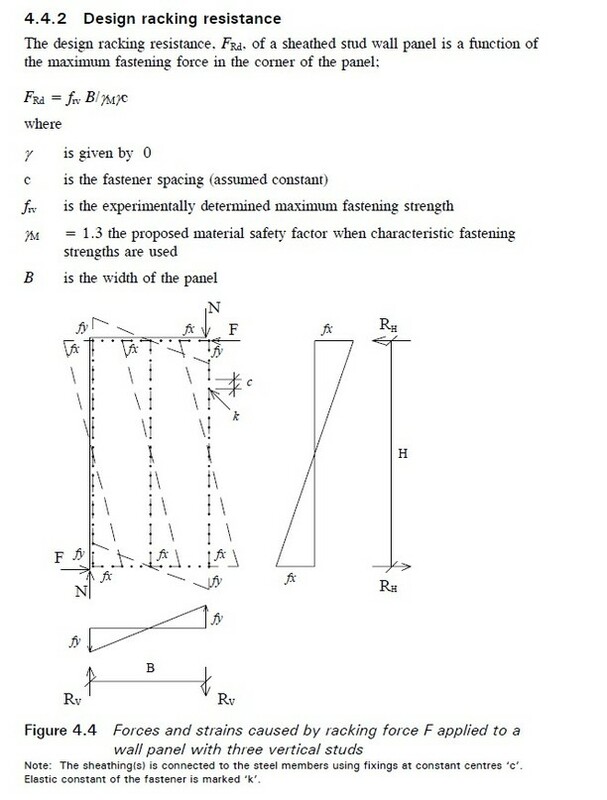 There does exist a joint SCI, Trada and DTi publication called ED002 from the early 2000’s that discusses racking this way in some depth but it refers to test data for the fixing capacity and it seems that plasterboard manufacturers are unable, or unwilling, to offer bearing capacities for fixings. There is a counter argument or two to using plasterboard for racking that should be acknowledged at this stage. 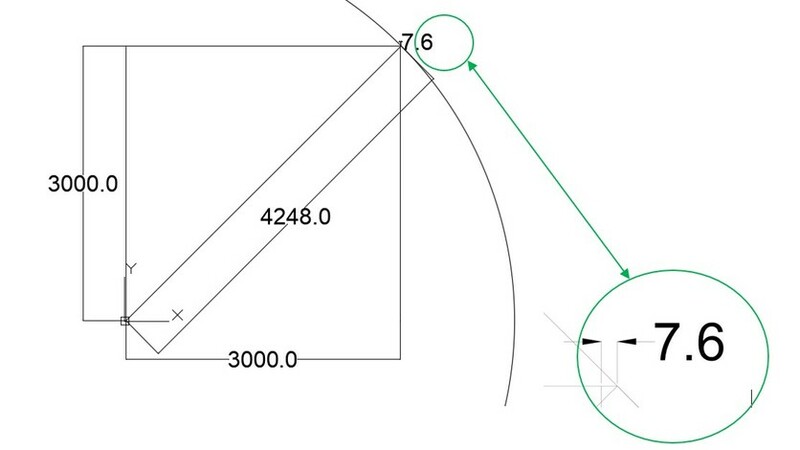 The first of these is that under cyclical loading, as would be expected under wind load conditions, the load and un load nature of the loading might enlarge the hole in the plasterboard and thus affect the long-term load carrying capacity of the board and fixing combination. Not having data to review it’s impossible to comment. The second issue raised, that may also be a red herring, is in the case of fire the board may / will lose integrity. My personal response would be that the in the case of fire the load will be reduced as people, the majority of the load, leave the building, and after the event the boards would need replacing due to water damage. These are valid concerns and counter arguments and should be given due consideration. In addition to these points above, it is not at present normal to sheath the studs with OSB – though this could change with ‘guidance’. Typical is to sheath the studs with plasterboard on one side and cementitious board on the other side (outside face). 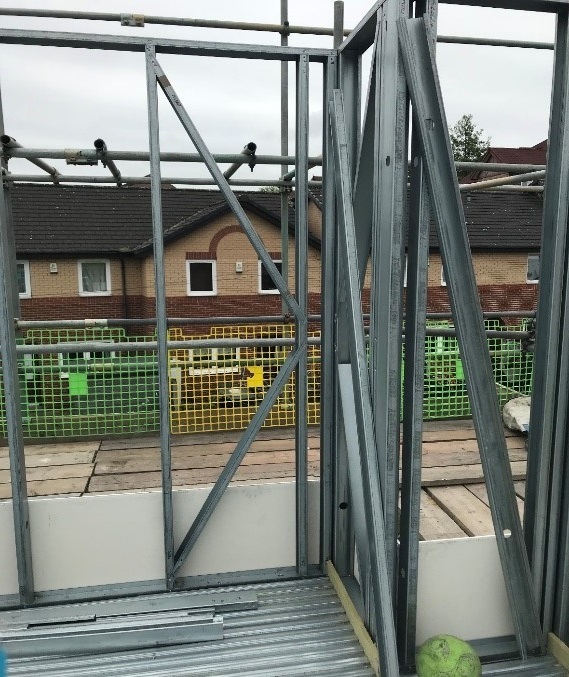 Personally, I recommend the use of cementitious board to the outside face, at ground floor at least, to prevent rat ingress and to provide a layer of weather resilience to the frames and enable earlier ‘1st fix’ or services in a weather resistant environment. Some, particularly façade, installers, use / affix insulation boards directly to the outer faces. This provides absolutely no resistance to racking. In addition, the boards used for sheathing could be used to resist lateral torsional twist (LTB failure), may be needed for Passive Fire Protection AND acoustics, but more on these in following blogs. The boards for these other reasons MAY be plasterboard which will, in all probability, NOT have the same lateral fixing capacity as OSB but it may be decided that OSB as an ‘inner’ layer is deemed efficient for the build?